I would love to read your blog, but I need an RSS feed because that is how I manage my reading. Please consider creating one. I also respectfully comment that you should break your posts up into smaller chunks. I know, I know, but I myself have succumbed to the attention deficit disorder. I have time for five minutes on the web, or if you make a documentary on Netflix, I have an hour for you. Nothing in between. 😦 Please take these comments as graciously as you can because your blog was meant for me. I love the twenties and I’d love to go back even further, but I have no sources. Perhaps you? Hello! Thank you so much for reading, and for all of your comments. The RSS is a great idea, which I’ll need to figure out how to implement. I typically do try to break these longer posts up, but in this case wanted to “get it all out there” in one shot. I too have felt the touch of ADD! 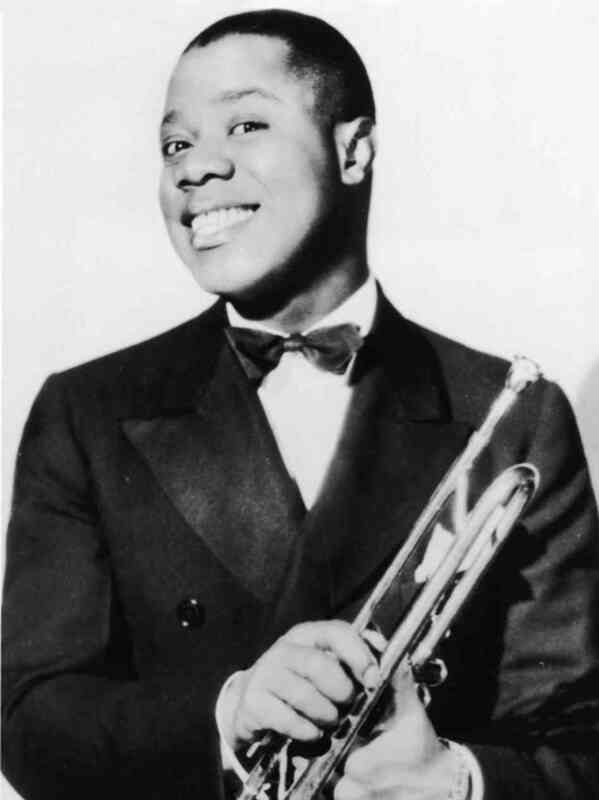 -while not exclusively devoted to the twenties, Ricky Riccardi’s Louis Armstrong blog (link all the way at the bottom of the page in my blog roll) is written with knowledge and love; a terrific resource not just for Armstrong but American popular music of the prewar era more generally! If I think of any more I’ll email you, but I hope that helps for now. Thanks again for reading and for commenting! Fascinating, instructive, and well-researched analysis with numerous illustrations and musical examples. May I object to the use of the word “fusion” as applicable to rag-a-jazz?I would define music fusion, in a simplistic manner, as the blending of two or more distinct musical forms. It seems to me that rag-a-jazz is not a combination of styles but a stage in the musical evolution that starts with rag and ends up as jazz. Hello, Albert! I am very glad you enjoyed this piece. You have done so much revealing investigation into Bix Beiderbecke and his circle, so I really appreciate the compliment coming from you. You can object to anything you want, of course! You raise a really fascinating point when it comes to the use of the word “fusion.” My two cents is that rag-a-jazz might be both: seen from a historical perspective, it was a transitional step, but for musicians of the era (and possibly musicians who continue to play it) it was/is something they play that happens to blend an established idiom with a developing one. Like I said, it “might” be both; it’s really something I personally need to mull over. Thank you for contributing to the discussion and giving me food for thought, Albert. Thank you for this incisive and inclusive post. 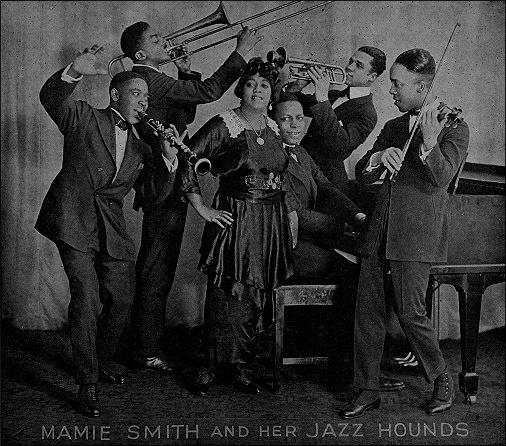 One element of the mix possibly worth alluding to, especially in reference to the ODJB, is that the statelier tempo and multi-strained structure of ragtime was bound to undergo changes in the light of available recording technology. I think there’s good evidence that the constraints of 3:00 or so caused musicians to alter tempi and gives us only a partial and possibly inaccurate view of how fast music was generally played (On the chicken and egg question, I fall on the side of those who think the dance affected the musical tempo more than the other way). Hey Steve. Your point about the relationship between time limits on records is very interesting. It also makes me wonder how audiences who first heard the ODJB and others on record would have reacted to those perhaps slower tempos live. Thank you for reading and for providing even more food for thought! Andrew-What’s also interesting about audience expectation of tempo is how relatively new the songs were. We’ve had umpteen years of hearing Satin Doll and Anthropology. How many versions of even TIger Rag had people heard? Andrew. Very informative. May I ask a question. I’m working on a project regarding jazz musicians with Nebraska ties. 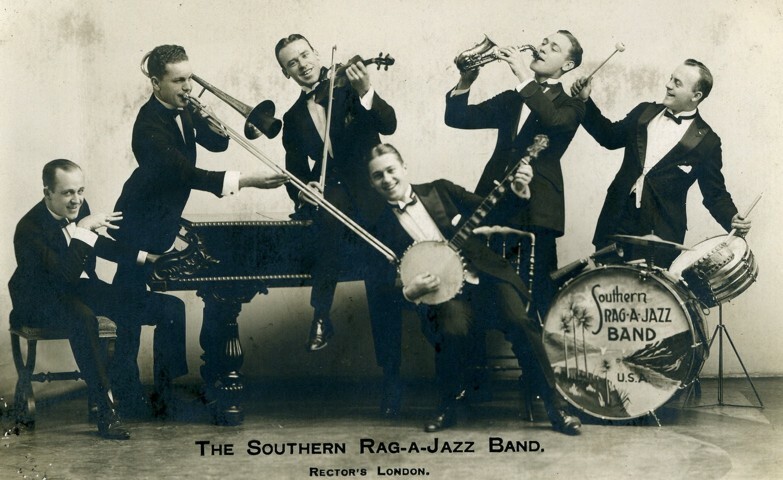 The paragraph on the Southern Rag A Jazz – London via Nebraska – caught my interest. Can you advise any information on this or sources etc.? You can also listen to some of their recordings on YouTube. I don’t know much else about it beyond Mr. Thomas’s copious notes, but if I hear anything I will email you. I hope this helps in the meantime. Thank you for reading! I wonder if Scott Alexander’s essay “The First Jazz Records” contains information relevant to your article. I usually do hyperlink to that essay whenever I mention the topic of the “first jazz record,” so thank you for making sure it got included here! It certainly continues to open my ears, and points towards a lot of interesting music (regardless of what one might call it). 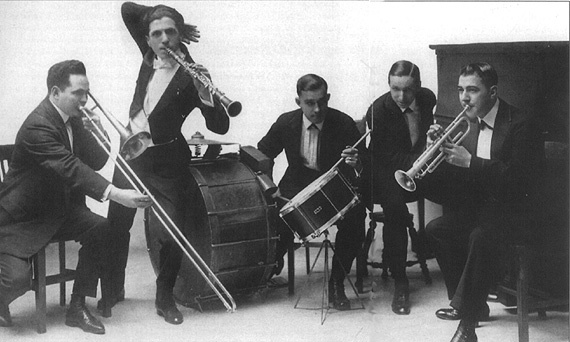 Thank you for this intelligent and non-disdainful post about early recorded jazz. 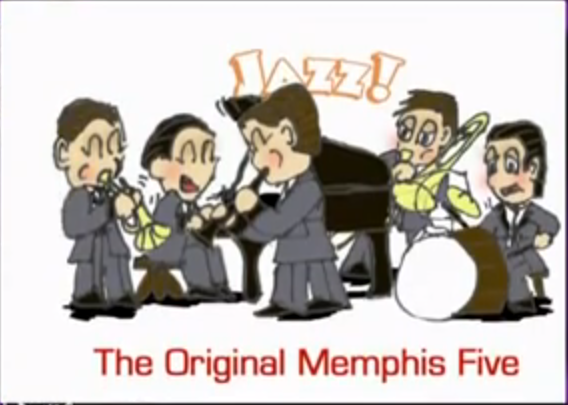 I’d like to make a note about the ODJB in particular: they didn’t always play their eighth notes straight and even. I’ll use just one recording as an example: Bluin’ the Blues http://www.youtube.com/watch?v=dcPyJwT8qEc here trombone player Edwards, cornetist LaRocca, and clarinetist Shields are definitely swinging some of their individual notes together. In the main “feature” of this piece, Ragas’ piano breaks, he’s playing not staccato eighth notes or quarter notes, but flowing legato triplets! This is quite uncommon in early jazz piano. Additionally, Sbarbaro plays 3 eighth notes in a row, then rests for one, then repeats this pattern to finish out the bar often in the first half of the song. This makes the beat feel more free and loose. You also make a good point by saying this style of jazz isn’t a “wrong turn”, but a style that happened to begin and end in a brief era and that its influence is still felt through jazz up to the present. The Baroque era and Romanticism aren’t widely regarded as wrong turns in classical music history after all. Your point about the ODJB’s “Bluin’ the Blues” is very telling. In this context, it points to uneven eighth-notes as a musical idea or “seasoning,” rather than ‘the’ way to play these rhythms. It also reminds me of the Lopez-Hamilton recording of the tune, where the notes are more even throughout, and even Coleman Hawkins’s use of a straight eighth-note break among swung eigths in his solo on “The Stampede” with Fletcher Henderson. In these cases swung eigth-notes seem more like an idea, something one applies for expressive purposes, rather than by default for all performances (like vibrato in European orchestral music). Interesting stuff, thanks for joining the conversation! 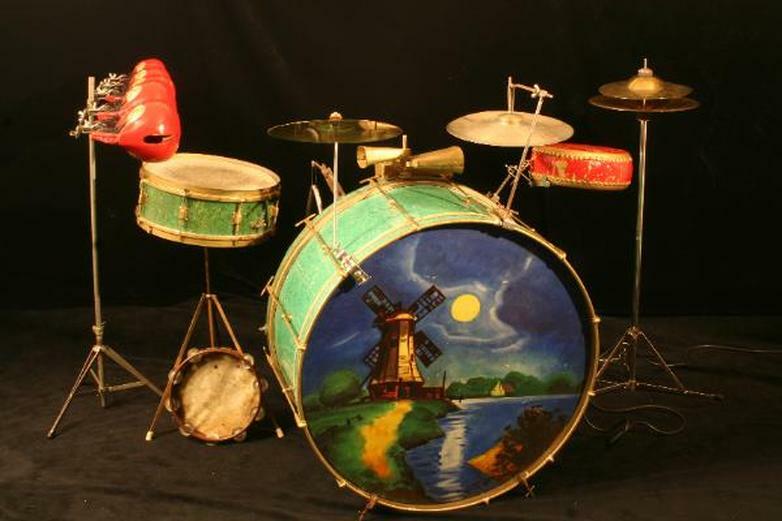 In this and future articles about the ragtime-to-jazz transition, you may want to include the two 1912-1913 discs that Gus Haenschen made with the drummer in his native St. Louis. 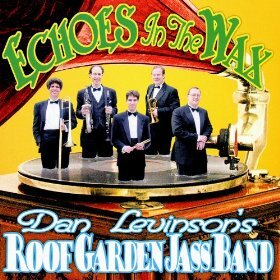 Both recordings were discussed by Allen Lowe in “That Devilin’ Tune,” and are now available on YouTube. 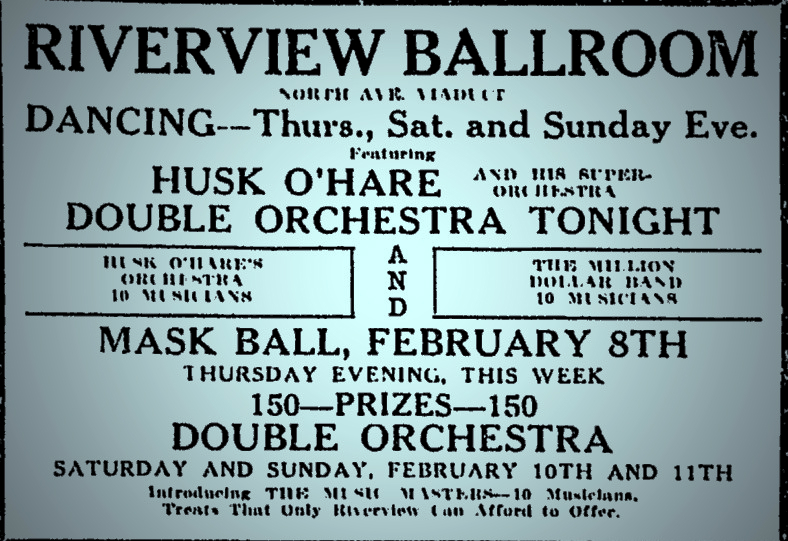 Search “Sunset Medley” and “Country Club Medley,” in which Haenschen plays a song he wrote which later became “Underneath the Japanese Moon” (with lyrics by Gene Buck) in the Ziegfeld Follies of 1914. I was fortunate to know Gus Haenschen quite well, and I know that he recorded the two medleys before 1914, not in 1916 as some sources have claimed.